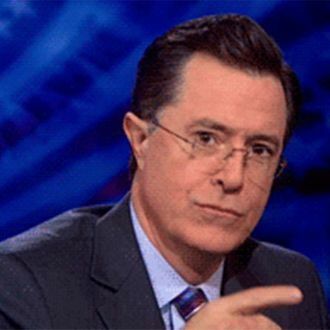 If nothing else, it’s impressive that The Colbert Report has been on the air this long without Twitter calling for its immediate cancellation. The @ColbertReport tweet that has some demanding that Comedy Central #CancelColbert has since been deleted, but it read: “I am willing to show #Asian community I care by introducing the Ching-Chong Ding-Dong Foundation for Sensitivity to Orientals or Whatever.” It’s a quote taken from a segment on Wednesday’s Report, which you can watch here, that mocked the Washington Redskins owner Dan Snyder for creating a foundation to help Native Americans. While the larger issues seem to be the comedic perspective of Colbert’s conservative character, his use of racist humor and the effectiveness of that humor in and out of context, both The Colbert Report’s Comedy Central Twitter and Colbert’s personal account have so far chosen to focus on the distinction between Stephen Colbert and the Twitter account for his show. Stephen didn’t tweet it himself, if that makes anyone feel any better about the whole thing.